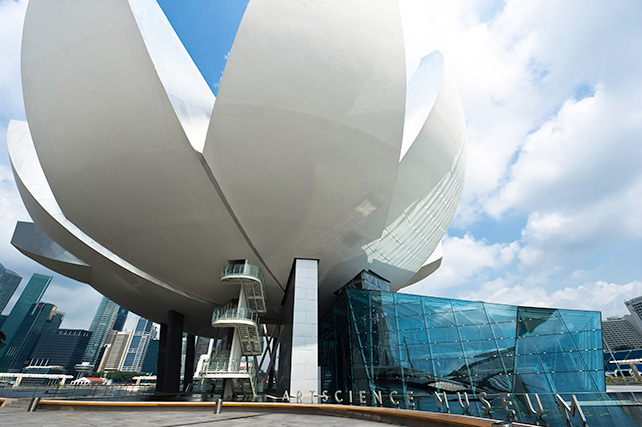 ArtScience Museum at Marina Bay Sands secured the prestigious LEED® (Leadership in Energy and Environmental Design) Gold certification under the ‘Existing Buildings: Operations & Maintenance’ rating system. This makes the museum the first of its kind in Asia Pacific to be given this honour. 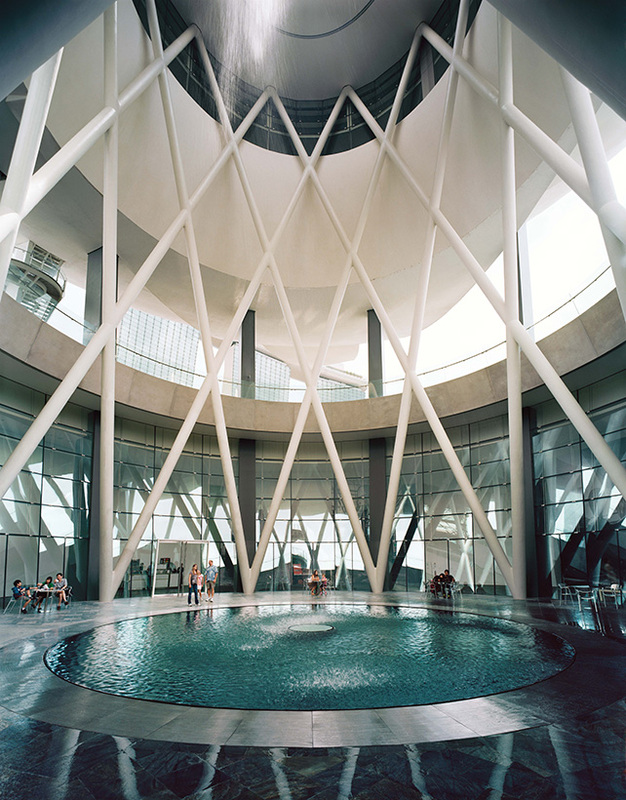 The iconic museum excelled in some of the highest environmental performance standards in the areas of water, energy and waste management, as well as sustainable purchasing, set forth by the LEED rating system. Developed by the U.S. Green Building Council (USGBC), the rating system is an industry-leading programme that recognises excellence in design, construction and operation of green buildings. The certification process involves third-party technical reviews and verification of registered projects based on the highest and most stringent standards of quality and integrity in sustainability, across a wide range of areas such as indoor environment quality and the use of environmentally-friendly products. 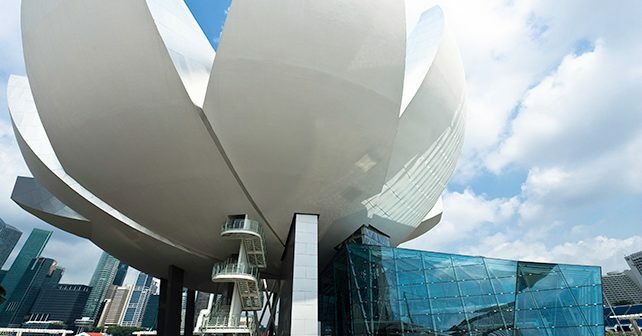 World-renowned architect Moshe Safdie created the innovative lotus-shaped ArtScience Museum, intersecting art with sustainability into the building’s overall design. Key sustainable features of the museum include natural daylight illuminating the interiors of the museum, as well as the seamless integration of a rain water harvesting system into the building.